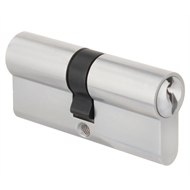 70mm Euro Profile Double Cylinder Lock. For use with euro style lock cases. TE2 keyway.